Increasing sirtuins has been the focus of a number of aging research studies and for good reason. A number of processes such as DNA replication, transcription and repair are regulated in the chromatin environment by the histone proteins. Histone proteins influence the epigenetic expression profile and thus have an influence on the aging process and the onset of age-related disease. Histone deacetylation is an important mechanism for ensuring and maintaining a stable epigenetic expression profile. In total there are three classes of histone deacetylase enzymes with the sirtuin family occupying the third class. Sirtuins are a family of seven evolutionarily conserved enzymes that interact with and impact on a wide range of cellular functions. The sirtuins have been the focus of research for over a decade due to their key role in aging and metabolism. Particular focus has fallen on sirtuin 1 (SIRT) and a number of studies have explored its potential. SIRT1 plays important roles in DNA repair, senescence and metabolism and is implicated in a variety of diseases such as metabolic diseases, cancer, heart disease and other cardiovascular conditions, viral infections, inflammation and neurodegeneration. Therefore the activation of SIRT1 is of significant interest to researchers. Today we are going to look at a study from late 2016 that examined various polyphenolic compounds for their potential to activate SIRT1(1). A study by the department of translational research and new technologies in medicine and surgery at the university of University of Pisa set out to test their ability to activate SIRT1. They looked at a total of 36 individual polyphenolic compounds and also tested combinations of these compounds to see if any synergistic effects occurred. As well as examining if the compounds could boost SIRT1 levels they also looked at downstream increases of related AMPK and inhibition of mTOR signalling, also key players in aging and linked to SIRT1 activity. The researchers carried out in vitro testing using various concentrations which gives us a good idea of the overall capability of a compound to increase SIRT1. However one should always consider the impact of bioavailability when looking at results of this kind. Bioavailability can have a significant impact on the results when taken orally so keep this in mind as we discuss the research results here. The research team began with a total of 36 compounds and after the initial round of testing reduced the number to only include those that showed significant increases of SIRT1 activity. 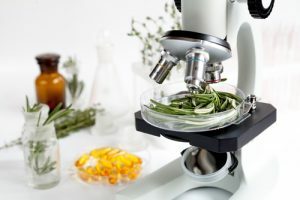 Of the original compounds quercetin, resveratrol, berberine, tyrosol, ferulic acid, niclosamide, catechin, curcumin and malvidin were selected for further testing as they all showed they could increase the expression of SIRT1. The researchers tested the compounds in various concentrations and at different time points, we show the results at the 24 hour mark as these are the most significant. The researchers selected two concentrations for each substance at which a greater expression of SIRT1 was obtained, the reason for this was for use in the following step. Here are the 24 hour SIRT1 expression results for this round of testing. As we can see, quercetin, berberine, ferulic acid and tyrosol had the largest increases in SIRT1 expression which is why the researchers selected them for the next step, to examine the activation of AMPK and the inhibition of mTOR. The researchers opted not to test resveratrol further due to its already well documented limitations, namely its poor bioavailability, short half-life, high lipophilicity and it being chemically unstable. The researchers used it in the initial part of the study to compare the effectiveness of the other compounds against it, being satisfied with the stronger candidates they had no further need to test it. AMP-activated protein kinase (AMPK) plays a key role as a master regulator of cellular energy homeostasis. Increasing levels of AMPK makes more energy available for cellular processes and therefore is of interest to researchers. The level of AMPK activation in the selected compounds after a 24 hour period and in two dosages are shown in the chart below. All of the substances showed a significant increase in AMPK activity. The mammalian target of rapamycin (mTOR) signaling pathway integrates both intracellular and extracellular signals and serves as a master regulator for cell metabolism, growth, proliferation and survival. It is downstream of SIRT1 and its levels are influenced strongly by it. mTOR inhibition leads to increased lifespan in a number of species and practices such as caloric restriction influence this pathway. All the substances showed a reduction of mTOR levels that was statistically significant. So far so good for the four compounds and impressive results all round. The final part of the experiment was to analyse combinations of the four substances to see if there was any synergistic effect on SIRT1. Sometimes a combination of compounds has a greater effect compared to the effects of each substance separately such as quercetin and dasatinib when used for senescent cell removal (2-3). The combinations of berberine + tyrosol, tyrosol + ferulic acid and ferulic acid + quercetin demonstrated synergy and we up to 100% more effective than the sum of their individual parts. This resulted in an total increase between 300-400% of SIRT1 expression! However, the same synergy was not observed in AMPK activation or mTOR inhibition which remained very similar to the levels seen in the sum of its parts. Quercetin, tyrosol and ferulic acid have the highest bioavailability of the substances tested here. Therefore, based on the above results they are the most promising for increasing SIRT1 expression, increasing AMPK activity and inhibiting mTOR. However further study is required before a final conclusion can be made regarding the efficacy of these compounds in vivo due to the aforementioned issue of bioavailability noted at the start of this article. That said some of these are readily available and have good supporting data for their use in particular berberine and quercetin. (1) Giovannini, L., & Bianchi, S. (2017). Role of nutraceutical SIRT1 modulators in AMPK and mTOR pathway: Evidence of a synergistic effect. Nutrition, 34, 82-96. (2) Zhu, Y., Tchkonia, T., Pirtskhalava, T., Gower, A. C., Ding, H., Giorgadze, N., … & O’Hara, S. P. (2015). The Achilles’ heel of senescent cells: from transcriptome to senolytic drugs. Aging cell, 14(4), 644-658. (3) Roos, C. M., Zhang, B., Palmer, A. K., Ogrodnik, M. B., Pirtskhalava, T., Thalji, N. M., … & Zhu, Y. (2016). Chronic senolytic treatment alleviates established vasomotor dysfunction in aged or atherosclerotic mice. Aging Cell, 15(5), 973-977.